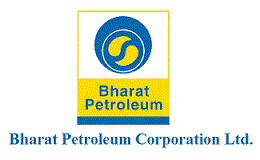 Bharat Petroleum Corporation (BPCL) has embarked on a de-risking strategy that will help the public sector behemoth to emerge as an integrated oil and petroleum firm over the next few years. The company that operates major oil refineries in locations like Mumbai, Bina and Kochi, is foraying into petrochemicals and specialty petrochemicals, which currently contributes a negligible one per cent or less to BPCL’s overall business. Over the next 10 years, it is expected to generate over 10 per cent business. “We are trying to secure our next 10 year’s refining capacities with a thrust to move and de-risk our refining business by going into petro chemicals,” R Ramachandran, director (refineries), BPCL told Express. Besides, the company has some interest in upstream business with presence in Mozambique, Brazil and to some extent Indonesia, where it hopes to monetise assets in the next 5-6 years. “A lot of work is going on. We want to utilise one end of the spectrum (upstream business) to support our downstream operations and also by venturing into petrochemicals, we can become an integrated company,” explained Ramachandran. The Indian petrochemicals industry operates on a low base, ie., approximately 8 kg per capita in India vs roughly 32 in the US and a world average of 23 to 25. Also, for India to support a growth rate of 7-8 per cent, petrochemicals growth needs to be 3-4 per cent higher than the GDP, whether it’s in emerging markets or in developed nations. “If India has to grow at 6-7 per cent in next 10-15 years, we are actually talking of petrochemicals growth happening at double digits growth,” he added. But right now, petrochemicals growth is roughly 3-4 per cent. Refining is a cyclical, margin-based business, and is prone to multiple factors such as international trends, demand-supply scenario, political scenario, OPEC vs US, which started exporting oil and fluctuating crude oil prices. Normally, refining products are raw materials to petrochemicals and when there’s a boom cycle, petrochemicals follow, and vice-versa. “By de-risking, the idea is to spread your risk to a larger investment base, so that you are well off in relative terms,” he explained.